Fifteen-and-a-half syndrome (15½ syndrome), including one-and-a-half syndrome and bilateral peripheral facial paresis, was firstly named by Bae and Song in 2005. 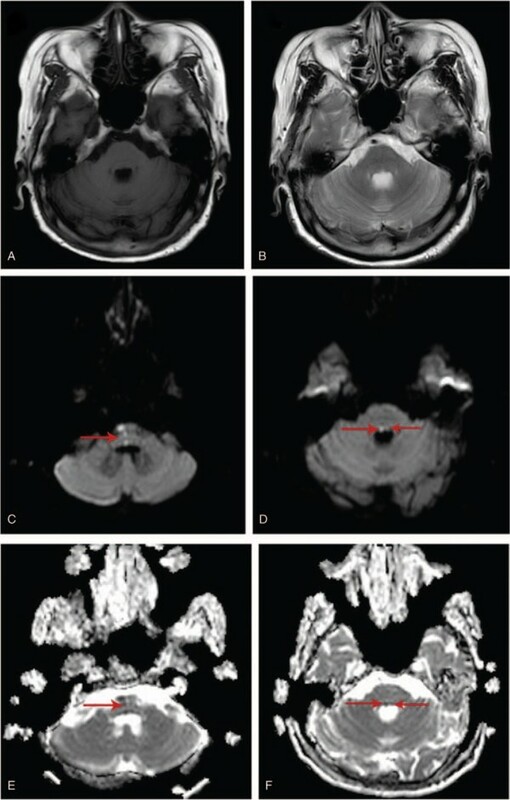 The dorsal tegmentum of the caudal pons including the medial longitudinal fasciculus (MLF), the paramedian pontine reticular formation (PPRF), abducens nucleus, and the adjacent facial nerve is the anatomical basis of the rare syndrome. It is necessary to improve the clinical recognition of this rare syndrome. So far, there are few reports about 15½ syndrome. Here, we report a patient who complained of diplopia, slurred speech and slightly distal numbness of the left upper limb was diagnosed the 15½ syndrome finally. After treatment, the patient gradually recovered. Two months later, the patient was followed-up and the prognosis was relatively good. A 54-year-old right-handed woman was admitted to our hospital presenting with diplopia, slurred speech, and slightly distal numbness of the left upper limb for four days. Her medical history was notable for hypertension, type 2 diabetes mellitus, hysteromyomectomy and ischemic stroke without significant consequences. In the neurological examination, the following symptoms were found: dysarthria, bilateral seventh nerve palsy, right conjugate gaze palsy, loss of adduction of the right eye. Besides, horizontal nystagmus on abduction of the left eye was also observed. 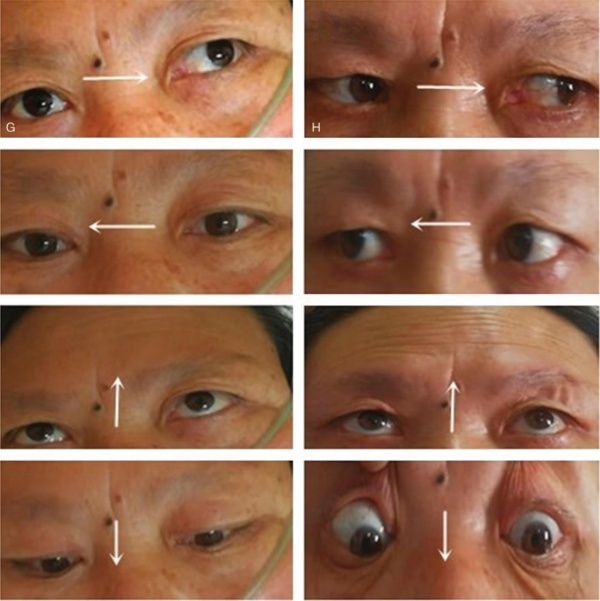 In addition, the patient showed slightly limited abduction of left eye. Brain MRI showed the infarctions including the bilateral pontine tegmentum and a narrow lesion along the midline in the right of the pons, which run through the pontine tegmentum to the ventral side. After admission, the patient received treatments such as antiplatelet aggregation, plaque stabilization, free radicals elimination, circulation improvement, nerves nourishment, and other symptomatic treatments. In the period of 2 months of follow-up, the patient's slurred speech improved definitely. And her ocular movement recovered basically. Besides the bilateral facial paresis was also improved.